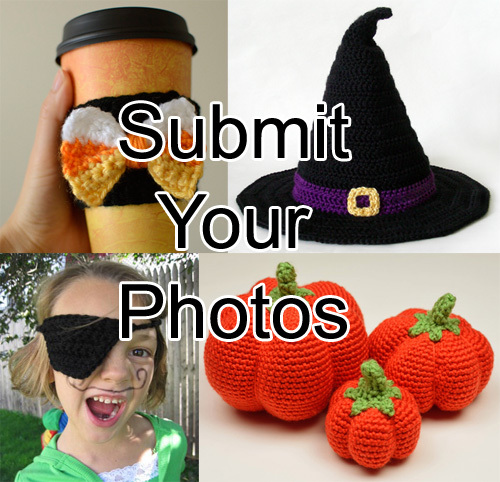 Share Your Halloween Crochet Photos! Did you crochet anything for Halloween? Perhaps an accessory for a costume or decorations for the house? Show off your work and see what others crocheted! Submit your photos by emailing them to me at [email protected] and I’ll upload them to the blog for everyone to enjoy. Be sure to include permission for your photos to be published. I can’t wait to see all of your photos. Have a happy, crochet filled, Halloween everyone! This entry was posted on Saturday, October 28th, 2017 at 12:00 AM by Rachel Choi	and is filed under Fun Ramblings. You can follow any responses to this entry through the RSS 2.0 feed. You can skip to the end and leave a response. Pinging is currently not allowed. Share Your Holiday Crochet Photos!